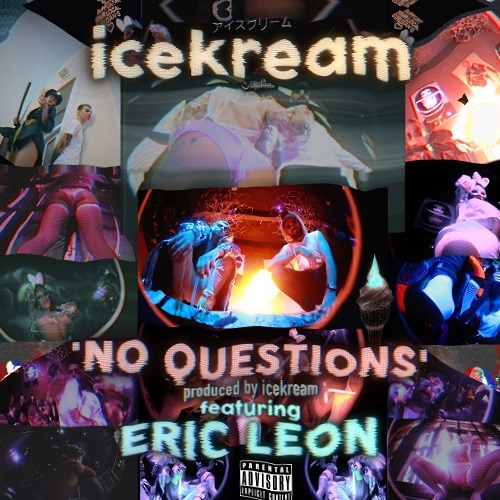 Recently signed international music beat maker to Cool & Dre – icekream – and Epidemic’s very own Eric Leon drop their first collaborative joint together: ‘No Questions’. This definitely seems like a family affair. The Dubai & Miami based artists are looking to announce themselves on the trap scene with this strong, infectiously delivered, opera-style banger. Eric jokingly refers to his counterpart & fellow song producer icekream (“Gucci on me fur coat cuz I’m with ice…testing out my whole life they be like damn he nice”), signaling to their audience the blatant comedic & fun approach that ensued whilst making the song. We can’t wait to see what’s next.